Reel resume and reverse are features on the 700D Drapers. 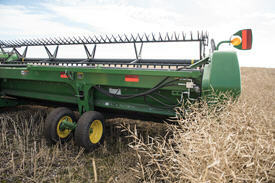 The combine operator can store two different reel positions with one setting for normal conditions and another for down, tangled, short, or leaning crops. 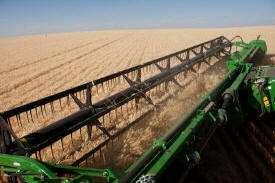 The 730D, 735D, and 740D Draper models can be equipped with an integrated, slow-speed transport system. 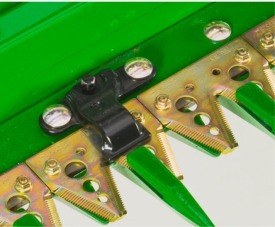 In field mode, the dual wheels become the left- and right-hand gauge wheels. 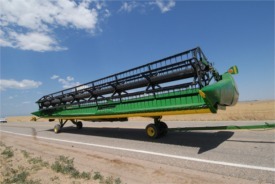 For transport, the left-hand dual-dolly wheels support one side of the draper frame and the right-hand dual wheels are repositioned to support the right-hand end of the frame. 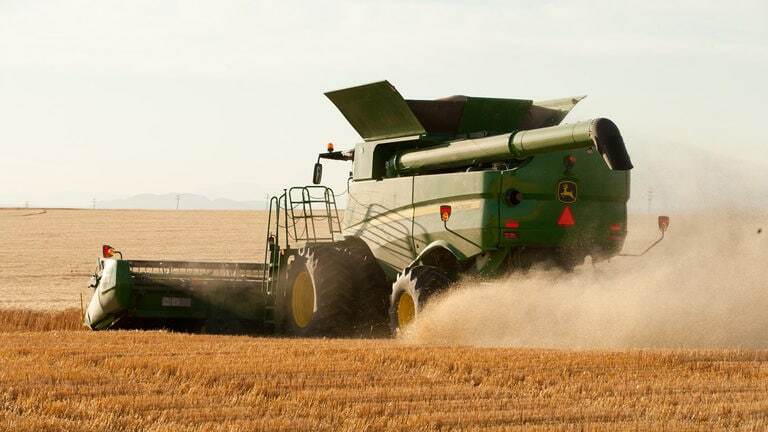 The transport package includes warning lights, which can be plugged into a seven-way power source for road transport with a 32.2-km/h (20-mph) speed limit for farm equipment transport. NOTE: The 730D, 735D, and 740D Drapers are equipped with two ST215/75R14 gauge wheel tires as base equipment and four ST215/75R14 gauge wheels with the low-speed transport option. 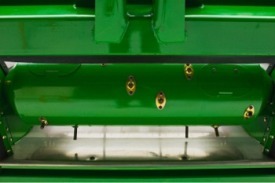 All John Deere 700D Drapers include a double-cut knife which features a hydraulic tilt that is controlled from inside the cab. All 10.6-m (35-ft) and 12.1-m (40-ft) draper cutterbars have knifeback reinforcement straps to strengthen the knifeback. The 100-mm (4-in.) cutting action produces a cleaner cut versus the tearing effect of shorter-stroke cutting systems. 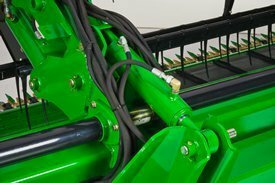 Knife hold-downs are easily adjusted to help maintain harvesting performance. 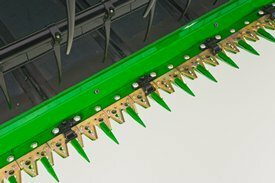 The cutterbar hydraulic tilt adjusts a full 8 degrees while maintaining excellent visibility to the cutterbar throughout the tilt range. 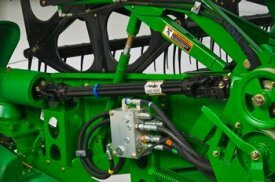 For improved ease of use, the optional advanced hydro handle can be configured to control the platform tilt. The unique dual-knife drive system is timed, creating the smoothest-possible reciprocating knife-drive system currently in the industry. 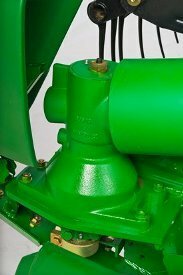 The positive, reliable shaft-driven dual epicyclical in-line knife drives with built-in driveline protection, provide operators with the strongest knife-drive system.